I studied Italian in Florence, Italy for a month. I then traveled for another month da sola (alone) until I reached the toe of the boot and the town of Tropea. 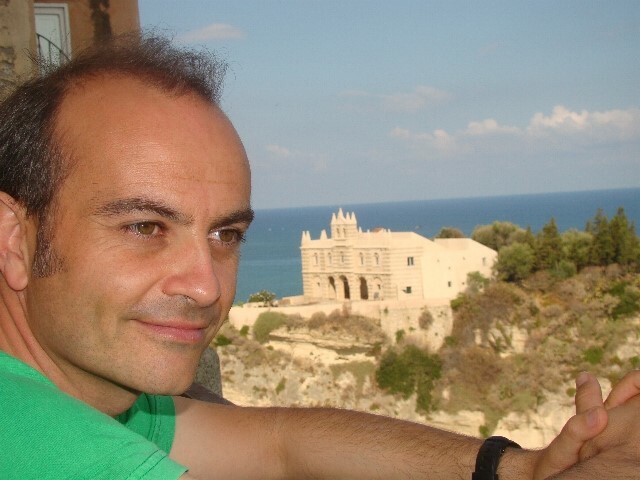 In Tropea I encountered a most wonderful teacher, Antonio Libertino. I learned so much from him both as a teacher and as a true Italian person. Antonio, you went to Law School didn't you? Why did you choose to teach Italian instead of practicing law? First, thank you very much for giving me this opportunity to know myself better through your questions. I went to Law School because I wanted to learn how part of the world around me worked... I was curious to know more about the rules and laws that ruled the everyday bureaucratic world. When I managed to learn about that, I realized that I didn't want to spend my time arguing in Court or being stuck in that kind of life. So I ran away from that opportunity and also from my home town. I went to work as a human resources assistant in Tuscany. It was a great, as well as a rough time in my life (everything was new for me!). I left that job and got back home looking for something else.Through a chain of events, my job found me. Francesco, the owner of the Italian school in Tropea, was looking for new teachers and there I was, unemployed and ready to explore that path too. 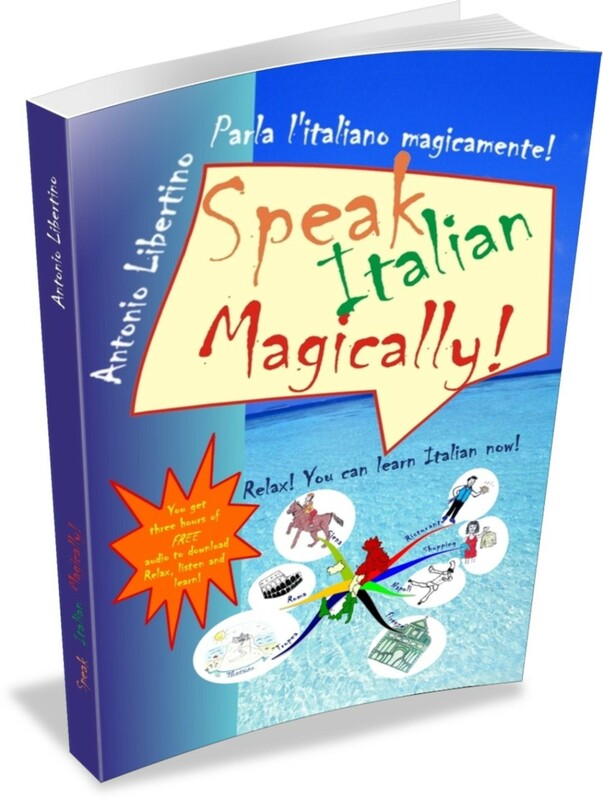 I enjoyed it so much that I started getting passionate about it, exploring new and old ways to help students believe in themselves and make their dream - speaking Italian- come true. I studied with you in your home town of Tropea. Tropea is so charming. Tell us more about your beautiful town and the surrounding area. A few weeks ago I went around Tropea with a guide myself. There was the opportunity for me to accompany a friend of mine who is a professional guide and it was a great experience for me. Why? Because I know Tropea from living there for 33 years, but sometimes when I think about it I focus on the experiences that I had there, forgetting the history and the beauty of it. You said it right: Tropea is charming! And that day I found out more about the masterpieces that are in the churches, about the mysteries (there's a closed church with masonry symbols in front of it). I was also reminded of the many famous people who were born in Tropea over the centuries. Did you know the first guys doing nose jobs were from Tropea?Many people come and visit Tropea and its surroundings because of the beach and summer life, but there's so much to see and experience, if you are open to see and experience it! By the way, I now live away from Tropea; only 4 km away from it! Because after my experiences away from it, I realized I could live and enjoy life near my home town; And I truly believe that if you are happy inside, you can be happy wherever you are. I think you are the best language teacher I have ever had. What is your secret for connecting with your students? Thank you for finally revealing it to me: you made me blush. I don't think I have a secret for connecting to my students, because "the truth is out there" as they said in a famous TV show. I now work mostly on a one to one basis and I really think that every person I come in touch with is a gift to me and I want to be the same for them. How can I do it? I genuinely get interested in them and, at the same time, I always keep in mind the goal we set together when we first meet, being open to new possibilities when they arise. That's all!